When you show your home for sale, there are several things that go into the sale. Your home showing will run much more smoothly if you take the time to make sure these elements are in order. Here's what to do. Anyone who comes to visit a home is likely to ask a lot of questions about the property. The seller will not be there, so the burden is there to have all the relevant details available for the buyer’s agent to answer. If possible, include this information in writing for easy reference, including square footage and data about improvements to the home and property over time. Just like the structure of the home, buyers want to know all about the equipment and systems. A house full of old technology might be less enticing than a home with relatively recent upgrades. Gather information about appliances and their upkeep, where applicable. Be sure to include heating, air conditioning, water heater and water softener, if one is present. No matter how clean the home is when you list it, sellers will have to do spot-checks right before a showing. Create a cleaning station with everything necessary to go from one room to the next. Make sure that the system in use, be it a rolling cart, tub or caddy, is easily portable to all parts of the home. Buyers may walk quickly from room to room, but they also want plenty of space for hanging out. 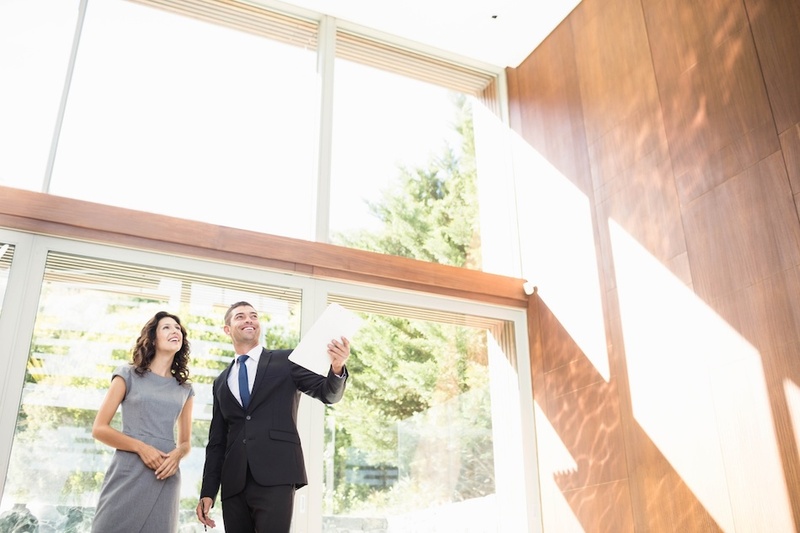 Be sure to set up a good spot for buyers to look at information with an agent, so that they can ask questions and take notes about the things they observe. Encouraging them to stay will allow them to see more of the home’s engaging features. Lighting is a big function of home staging, but the lighting needed depends heavily on the time of the showing. The thing you need most is options for all different times of day. Promote natural lighting during the day, so long as it does not make the room too bright or hot. Keep evening lighting adequate but not overly harsh. No one wants to stay in a home that is freezing cold or hot and stuffy. Adjust the temperature of the house at least a couple of hours before the showing to give the equipment time to heat or cool the space. Be sure to use ventilation if cooking or running a lot of hot water to control the humidity. You want buyers to enter the home and encounter either a pleasing aroma or none whatsoever. Anything else needs to be neutralized. Bear in mind that overpowering scents can be a negative, even if they are something delightful like vanilla or lemon. So if you are going to add a scent to the space, be sure to keep it light. The last thing you need is a buyer who feels like they must rush through looking at a home, be it in Corte Madera or elsewhere. As much as the disruption to your schedule could be an irritation, you should give buyers as much time as they need. Plan for at least two hours, but be prepared to stay away longer if needed. Creating a great home showing requires a lot of attention to detail. With these aspects under control, you will have a better chance of impressing every buyer who sees your home.